Skin Cancer That Spread to Her Lungs: Severe headache and numbness of face and jaw gone! Su (not real name) is a 42-year-old Indonesian lady. Some years ago, she was told she had endometriosis and was given hormone medication. Then in 2013, she came to a private hospital in Penang and had her uterus removed. She was told nothing else was wrong and she did not need any medication. A year later, 2014, she developed a lump, the size of a mole, on her head. Once a while this lump became painful. She did not consult any doctor and ignored the problem. In September 2015, Su came to Penang again to seek the help of a doctor in a private hospital. This was because the swelling over her scalp had grown bigger, burst and was bleeding. It was something like 6 to 8 cm in size. This was after she was using some herbs for the lump. A biopsy was done and confirmed as squamous cell carcinoma. Su went to another doctor in another hospital to remove the lump. After the “successful” surgery, nothing else was done. Su came back once a while for follow up. Everything was okay! 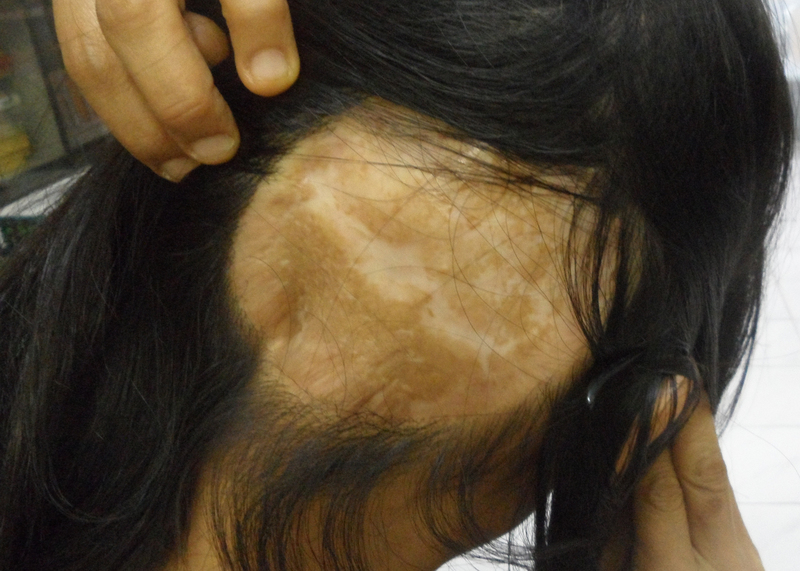 The operation scar after a big lump was removed from the back of her head. A year later, Su had a whole body check up. A CT scan showed 3 tiny spots in her lungs. The doctor was not sure what these were. She was told to come back after 3 months for another scan. After 3 months, Su was told to go for a PET scan. She refused. Su went to consult another specialist in another hospital. A CT of chest was done and showed multiple well defined nodules in both lungs. The largest of these is 16 mm in size. Conclusion: Lung metastasis. Su was told to consult an oncologist. She refused. She went home and searched the internet. She found Keladi Tikus (not from CA Care) and started to take this together with other herbs. Three months later, she came back to the doctor who did the surgery for her. 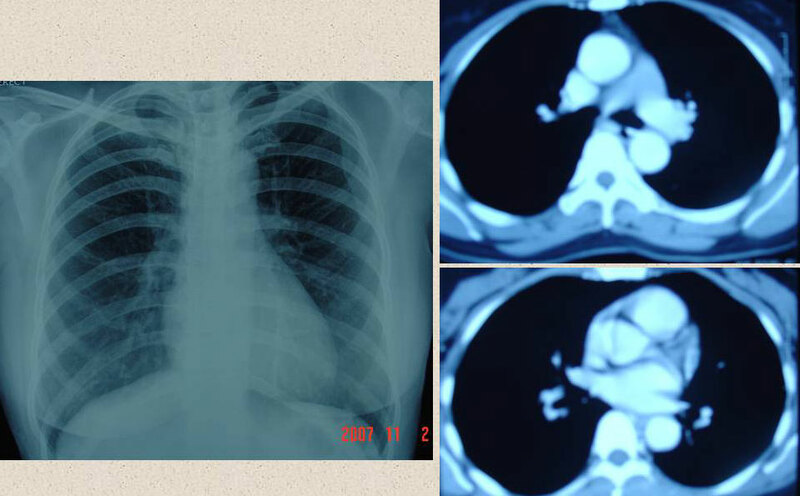 A CT scan showed multiple bilateral lung metastases. 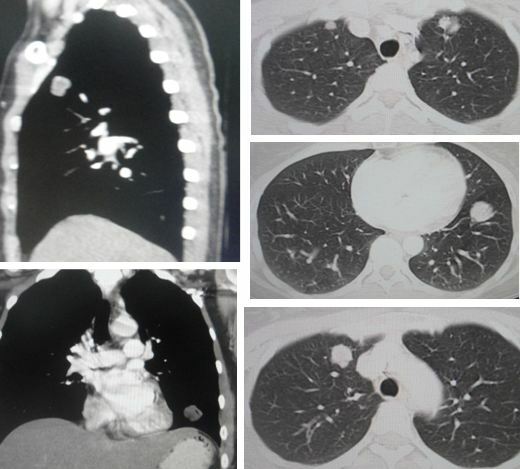 The metastatic lung lesions are progressively increased in size and number. Su was told to go and see an oncologist. She came to seek our help instead. I prescribed her: Capsule A, C, D and M sides Lung 1 and Lung 2. We don’t have any specific herbal tea for skin cancer. After 3 months on the herbs, Su said she got better — of course, far from being cured. We are glad that she look well, feel well and has no pain. Her severe headache which occurred for the past 3 to 4 months started to subside after a week on the herbs and eventually disappeared totally. Su said besides the headache which lasted from 2 or 3 p.m. until dinner time, she also had pain and numbness of her face and jaw. These too were gone after taking the herbs. Melanoma or skin cancer is very rare. But fortunately, we have helped two melanoma cases with great success before. See here: https://cancercaremalaysia.com/category/melanoma/. When Su came to see us, we were hopeful that we could help her as well. On the onset Su seems to be responding to our therapy very positively. She is leading a normal, pain-free life. That is a great blessing enough. My only advice I have for Su is to continue doing what she is doing. Unfortunately, my experience showed me that when a patient gets well, she/he will forget what we told them! SN (H19) is a 50-year-old female. Sometime in 2007, she had a black mole on her right foot removed through surgery. It was a melanoma, a dangerous and deadly skin disease. After the surgery she did not do any chemotherapy or radiotherapy. There was no medication either. 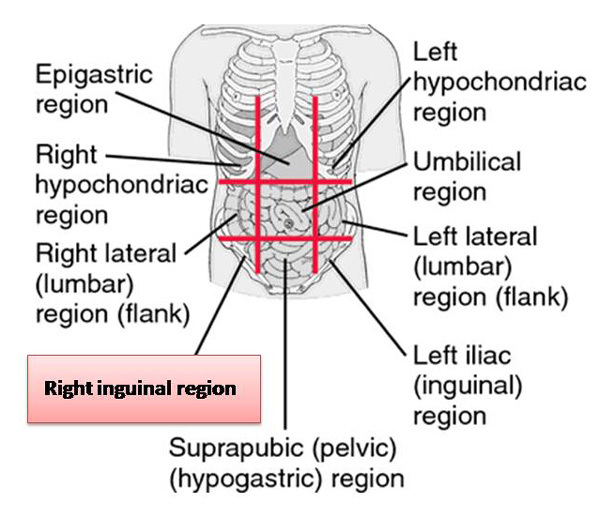 About a year plus later, she had swelling in the right inguinal region (see diagram). A biopsy was performed. The histopathology report dated 20 October 2008 stated, “Right inguinal dissection – right inguinal node malignant melanoma (metastatic)”. SN underwent another operation to remove the lump which was about 1 inch in size. Later she received 30 sessions of radiotherapy. She was asked to undergo chemotherapy. She declined. There was no further medical treatment. She continued to visit her doctors every three or six month for routine check. Two doctors were involved – the surgeon and an oncologist at the government hospital. On 23 March 2009, SN came to seek our help. She knew about us after reading the Chinese newspaper – Kong Ming. She did not have any problem, except for a swelling leg. She was prescribed Capsule A, Lymphoma 1 and Lymphoma 2 tea, C-tea and Lower Edema Tea. Ever since her first visit to us, SN returned to update her progress every three to six months. In December 2010, she complained of hot flashes and pain in the back. These were probably due to her menopause. We prescribed Menopause Pill and since then her problems were resolved. SN came to see us again on 16 December 2011 – this is almost three years since she first came to see us. She and her husband shared her experience which I believe many readers ought to know. 20 March 2009: Since she has declined chemotherapy, the doctor did not have any medication for her. She was left on her own. She read about CA Care in the Chinese newspaper – Kong Ming. So she decided to come and seek our help. 16 December 2011 – 2 years 9 months later: Patient: I am dong fine. My tail bone is painful. I had a fall. Otherwise I have no problem. Chris: You came in March 2009. Now it is December 2011. That’s about 3 years now. And there is no problem! P: I go for follow-up with my doctors regularly. I see two doctors – one is the oncologist and the other is my surgeon. My doctor said, “Since there is no swelling, etc. There is nothing wrong with me. Come back every 6 months for check-up.” At one time the oncologist took an X-ray of my chest. He found everything was okay. Husband: I think the most important thing is the change of diet. P: I followed your instructions. My friend – fellow patients in the hospital. She just died about two months ago. She had an operation like me and then suffered recurrence. She underwent a second surgery, had radiotherapy and chemotherapy. She did not change her diet and did not take herbs. I told her about you but she did not want to come and see you. H: The doctor who operated on my wife was very curious. He asked her a lot of questions. He told her that he operated on four melanoma patients – one was my wife. My wife is the only patient surviving today. The three other patients have already died. P: I told the doctor that I am taking your herbs and also changed my diet. C: Good. I cannot tell doctors such thing. But patients can tell their doctors! P: I want the doctor to know the truth so that others who come to him may also have a chance to live like me. C: I understand. Patients get all kinds of suggestions and advice when they get cancer. All these make them confused. You are our second success case. The other one is also a lady. She had metastatic melanoma that had spread to her lungs. When she came here she was coughing with blood. I did not expect her to survive. Today she is still around – healthy and with no problem. H: Now my health is getting better. I am “forced” to eat what my wife is eating – following her diet! Melanoma is a deadly disease for which chemotherapy or radiotherapy does not seem to be effective. Read the review of the literature below to know. However, we are really lucky that it is a rare disease – at least in Malaysia. Over the 16 years dealing with cancer patients, we encountered less than a dozen cases of melanoma. Off hand, I could only remember four cases. Last week, a man came with melanoma that had spread to his brain. He underwent a brain surgery. He told us that the doctor had taken everything out and he has no more cancer. I do not know what he came to see us in the first place because as far as he concerned he has no more cancer and he did not want to take the herbs or change his diet. About two years ago, a young lady came to us after surgery on her leg. It was a melanoma. While waiting to consider if she would go for chemotherapy or not, she came to try our herbs. After a few weeks we did not get to see her again. Guat (read her story here: https://cancercaremalaysia.com/2010/12/12/metastatic-melanoma-lung-cancer/) is a 53-year-old female. She was diagnosed with a melanoma which has spread to her lungs. When she came to see us in November 2007, Guat was having bad coughs with blood. The doctor told Guat that her condition was very serious and suggested chemotherapy and radiotherapy. Guat refused further medical intervention and was started on the herbs. It has been four years now and Guat is till healthy and living a normal life. Once she came and told us that many friends have been asking her why she did not die yet! Perhaps it is hard to live a life according to people’s expectation. Perhaps SN’s life is even harder to live. During the last visit to us (video) she told us that she had just visited a fellow-patient who had just died. This lady also had a melanoma and underwent surgery at the same hospital at the time as she. However, they chose different paths of healing. While SN came to see our help and was on herbs and good diet, this lady went for chemotherapy and ate anything she liked. Although SN shared her healing experience with her friend, this friend would not listen. Back at the hospital, SN was told by the surgeon who operated on her that he had operated four patients with melanoma at that time when SN was his patient. Now, three patients have already died and only SN remains alive. The surgeon wanted to know what SN has done to be able to survive that long. One message we wish to impart to patients is this – Your healing and your life is a matter of your choice! You decide the path you wish to take and bear the consequences of that decision. For us at CA Care, we feel satisfied that in spite of the grim and gloomy prognosis of melanoma, these two committed patients who came to us made it good. While they may not be cured – yet they live a normal, happy and pain-free life. To God be the glory! Is the most dangerous type of skin cancer and is the leading cause of death from skin disease. Treatment is more difficult when the melanoma has spread to other organs. When it spreads to other organs, it usually cannot be cured. Melanoma that is very deep or has spread to the lymph nodes is more likely to return after treatment. If the cancer has spread to nearby lymph nodes, these lymph nodes have to be removed too. Surgery may be done to remove cancer that has spread to other parts of the body. This is done to relieve pain or discomfort associated with the growing cancer. Chemotherapy has long been a mainstay for treating metastatic melanoma (that is, melanoma that has spread beyond its site of origin). There is no clear consensus among doctors about the most effective use of these drugs, which most likely reflects their low level of activity. Nevertheless, chemotherapy does help some people. The bottom line is that chemotherapy as an overall strategy is not very effective in treating melanoma. Only 15% to 20% of patients respond to chemotherapy, it typically works only for less than a year. Although dacarbazine (DTIC) has been recognized as a standard drug of chemotherapy for this neoplasm, response rate by this agent is around 20% and impact on the survival of patients is minimal. The role of radiation therapy as primary or adjuvant treatment for melanoma is controversial. Melanoma is traditionally considered a radiation-resistant tumor. She had been on high blood pressure pill for the past one year and is now suffering from headaches. There was burning sensation in her chest. She was unable to sleep well, worried. She had coughs with yellow phlegm and sometimes with blood. Her breathing was not good. She had wind in her stomach. Melanoma is a serious form of skin cancer that develops in the melanocytes, the pigment-producing skin cells. It may spread by the lymph system or the bloodstream to the liver, lung, bone and brain. Pulmonary metastasis occurs in 11% of patients. The prognosis of metastatic melanoma is dismal – a five-year survival rates of 2-3%. The median survival time is 7 months in patients with a single site, 4 months with two organ sites and 2 months with more than two organ sites. Patients with lung metastasis have a longer median survival of 11 months. The one-year survival rate is 36% with one metastatic site, 13% with two organ sites and less than 1% with more than two organ sites. Metastatic melanoma is generally incurable. Meaningful therapeutic options are limited in metastatic melanoma. Treatment focuses on shrinking or eliminating the metastatic lesions, preventing further spread of the disease and maximizing patient comfort. The chemotherapy drug often used for melanoma is Dacarbazine (DTIC). Only about 1-2% of patients treated with DTIC sustain long-term complete response. Other chemo-drugs used include nitrosoureas, vinca alkaloids and platinum compounds. They provided similar response rates with few long-term survivors. Note: As of this day (December 2010), Guat is as healthy as ever – like you and me. She has no complaints. Once day she jokingly told us: My friends were asking me why I did not die yet!